The 17th Annual California Firefighters Memorial Ceremony will be held on Saturday, September 28th, 2019. Check back here for additional details as the event nears. If you would like to watch the 2018 ceremony, you can watch it HERE. CLICK HERE to see the names that were added to the Memorial Wall in 2018. CLICK HERE for more detailed event information. The California Firefighters Memorial is a lasting tribute to the men and women who gave their lives to protect their fellow Californians. 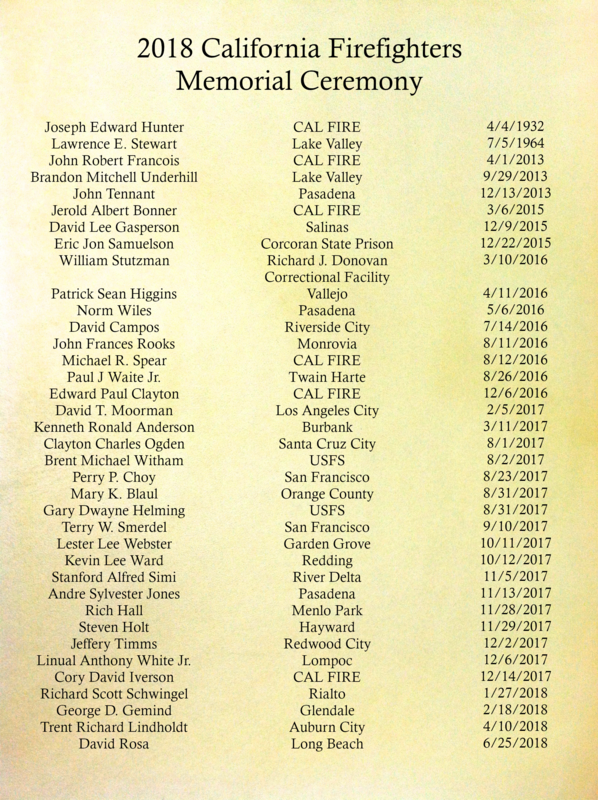 See the complete list of California Firefighters Memorial Wall Names HERE. In a solemn remembrance steeped in the traditions of the firehouse, hundreds of uniformed firefighters, family members and grateful citizens gathered in the heart of California’s capital Saturday, to pay tribute to those who paid the ultimate price to keep us safe. 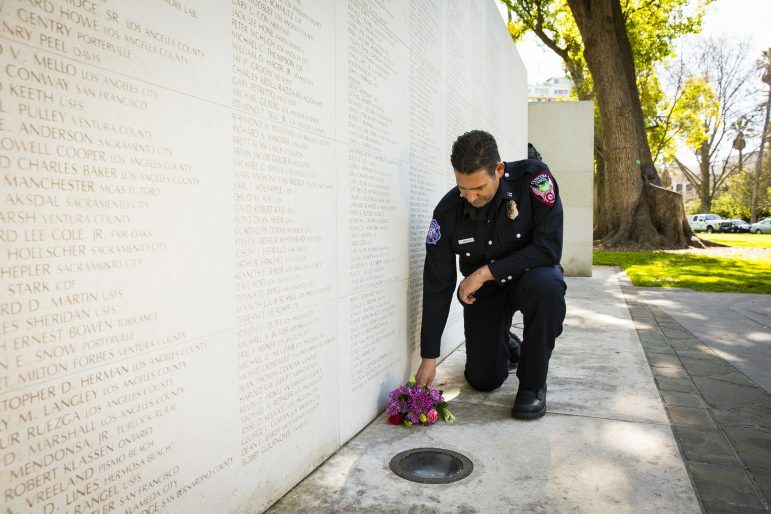 On Saturday, September 30th, the California Firefighters Memorial Ceremony honored 31 California firefighters who died in the line of duty, adding their names to more than 1,300 inscribed on the brushed limestone wall of the California Firefighters Memorial in Sacramento’s Capitol Park.